The Tamil Nadu Chapter of Telemedicine Society of India (TN-TSI) has reiterated its focus on Telemedicine as an important link for providing healthcare service in the state, by announcing the launch of a new learning centre at NLC Learning and Development Centre (L&DC) this week. 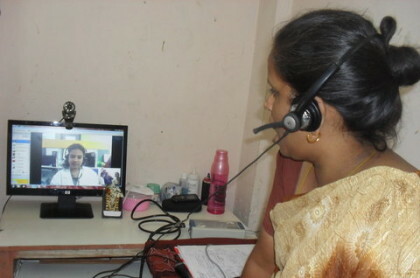 NLC GH began to offer telemedicine services in 2009 with the help of Isro, and has been associated with Sri Ramachandra Medical College (SRMC), Kanchi Kamakoti Child Trust Hospital (KKCTH) and Narayana Hridhalaya, Bengaluru in the past. Through this long term telemedicine recognition, more than 12,000 cases have been treated at NLC GH. There is a repository of telemedicine knowledge at NLC GH as the doctors and nurses here continuously update themselves through interaction with super speciality experts- with the help of telemedicine only. As reported by Hindu, N. Muthu, Executive Director (HR), NLC; Dr. Biswa N Mohanty, TSI president; Dr. K. Selva Kumar, TN-TSI president; Dr. K. Ganapathy, former president of TSI; L.S. Sathya Murthy, former Director, Isro and Dr. K. Janardhan, CGS (Medical), NLC General Hospital, participated in the launch function. In his address, Dr. Prathap C. Reddy, founder-chairman, Apollo Hospitals, said that the NLC did not confine health care system to its employees but extended the same to their family members and people from the peripheral villages. Mr. Muthu further implied that telemedicine is an important healthcare service link between the large number of population living in rural areas and, medicos in urban areas.